Master of suspense Jeffery Deaver returns with the latest gripping thriller featuring paraplegic forensic detective Lincoln Rhyme. Technology is everywhere. It makes our lives easier, our connections faster and journeys quicker. But in the hands of someone smart enough, every piece of technology can be a murder weapon. When an escalator gives way mid-chase, Amelia Sachs is forced to let a killer escape as she helps the man trapped in the depths. Now Sachs and forensic detective Lincoln Rhyme must investigate if the collapse was a freak accident... or whether they are facing a murderer who knows exactly how fatal machines can be. This print edition contains an exclusive leaked document from the Lincoln Rhyme case files. 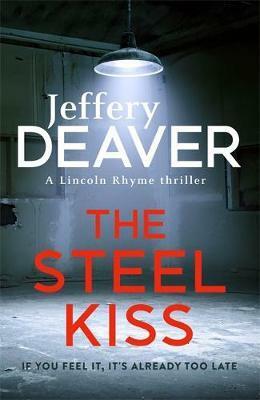 Jeffery Deaver is the award-winning author of thirty-three internationally bestselling novels, including the 2011 James Bond novel Carte Blanche, and three collections of short stories. He is best known for his Lincoln Rhyme thrillers, which include the number one bestsellers The Vanished Man, The Twelfth Card and The Cold Moon, as well as The Bone Collector which was made into a feature film starring Denzel Washington and Angelina Jolie. The first Kathryn Dance novel, The Sleeping Doll, was published in 2007 to enormous acclaim. A three-time recipient of the Ellery Queen Reader's Award for Best Short Story of the year, he has been nominated for an Anthony Award and six Edgar Awards from the Mystery Writers of America. He won the WHSmith Thumping Good Read Award in 2001 and in 2004 won the Crime Writers' Association Steel Dagger for Best Thriller with Garden of Beasts, and their Short Story Dagger for 'The Weekender' from Twisted.